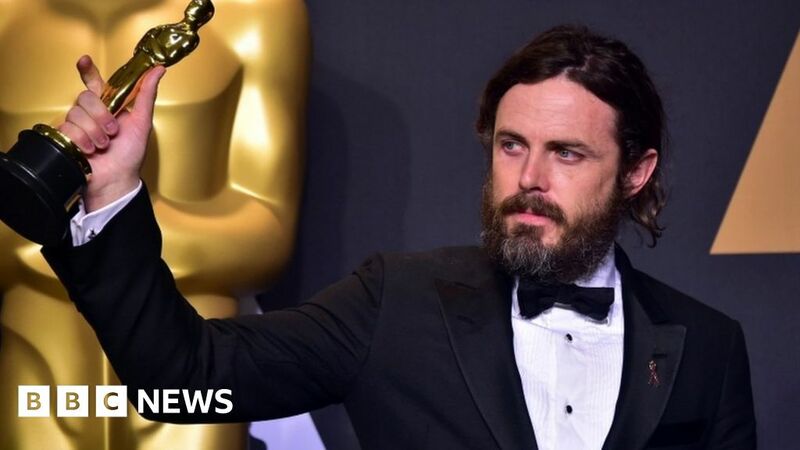 Oscar-winning actor Casey Affleck has pulled out of this year’s Academy Awards, his publicist has confirmed. By tradition, Affleck – who won Best Actor for Manchester By The Sea in 2017 – would have been expected to present the Best Actress award this year. The actor, brother of Hollywood star Ben Affleck, was sued by two female crew members for alleged sexual harassment in 2010. He denies the allegations, and the lawsuits were settled out of court. What are the claims against Affleck? Affleck’s accusers, producer Amanda White and director of photography Magdalena Gorka, say they were harassed during the making of the mockumentary film I’m Still Here, which Affleck directed. Ms White claimed that Affleck had refused to pay her salary because she would not spend the night in a hotel room with him, and said she endured, “a nearly daily barrage of sexual comments, innuendo and unwelcome advances by crew members, within the presence and with the active encouragement of Affleck”. Ms Gorka alleged that Affleck, who was married at the time, had crawled into bed with her as she slept. The actor’s lawyers argued that the allegations were part of a scheme to extort money from Affleck. Why is this back in the news? The claims against Affleck have drawn renewed attention in the months since sexual abuse allegations were levelled against US movie mogul Harvey Weinstein. The Weinstein allegations sparked the rise of the #MeToo hashtag, which inspired a global movement of women and men to share their stories of sexual abuse and harassment. More than 300 actresses, writers and directors responded by launching Time’s Up – a project to help fight sexual harassment in the film industry and other workplaces. The initiative was announced via a full-page ad printed in the New York Times. At the 75th Golden Globe Awards earlier this month, a galaxy of A-list actresses took to the red carpet in black to honour victims of sexual harassment. Many actors signalled their support by wearing a Time’s Up pin on their lapels. The event saw powerful speeches about the sexual abuse scandal, including one from Oprah Winfrey which received worldwide attention. Within a fortnight, though, more than one Golden Globes winner had been publicly accused of sexual misconduct. US comedian and actor Aziz Ansari, who won the gong for Best TV Actor – Comedy or Musical, was accused of sexual assault by a woman he had been on a date with. He responded that he had believed the encounter to be completely consensual. Days earlier, James Franco, who took home the Best Actor in a Comedy globe, was accused of sexual misconduct or inappropriate behaviour by five women, including students from his acting school. Franco chose not to attend the 2018 Critics’ Choice Awards in the second week of January, while the controversy was at its peak. The 2018 Oscars will take place on 4 March in Los Angeles.